This is the final post in a four-part series on Fear in Selling. In the first part, I talked about the importance of dealing with fear in sales. In the second part, I wrote about the four types of fear. In the third part I talked about fending off the sharks of fear. In this last part I talk about Shark-proofing your market – how to banish fear permanently. While each can be dealt with tactically (see part 3), fear is a classic case where an ounce of prevention is better than a pound of cure. So – how do you conduct your selling life in ways that keep the Sharks of Fear permanently at bay? First, let’s be clear where the solution does not lie. It is not in your sales process. You won’t find the key in sales management, and you won’t get there by tweaking your value proposition. Instead, it consists of constantly applying five principles, or values, to every aspect of your selling life. And here they are. 1. Always Sit on the Same Side of the Table. You are on the same team as your customer. Your interests are allied. There is no such thing as win-lose or lose-win, there is only win-win or part on friendly terms. You are not playing a zero-sum game, you are looking for a mutually beneficial relationship. Don’t speak, write or think anything that posits you vs. your customer – your proper seat is on the same side of the table as your customer. 2. The Customer Gets Theirs First. The way to a successful partnership is not by insisting on 50-50 from the outset and at every step of the way. It comes from being gracious, putting the customer’s needs first, offering up some value, taking some risks, and listening before talking. The single best behavioral tool you can employ for this principle is – listen empathetically, long, and well. The result is that, when it’s your turn, you will be listened to in the same way. 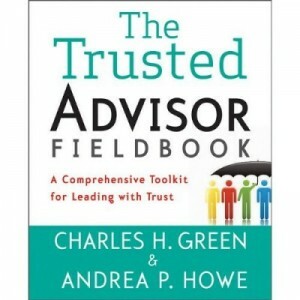 Yes, a trust-based partnership has to work for both of you; but you get there by being willing to first focus on the customer’s needs, not your own. 3. Play the Long Game. The most powerful force in selling is the natural human tendency to return good for good, and bad for bad. Again – the most powerful force. Time, though of this way, is your friend, because time lets you develop relationships, not transactions. The more you develop relationships, the more your transactions will have context; and it’s a context of mutual courtesy, obligation and goodwill. Don’t think of the sales process as a transaction, to be repeated. Think of it as a relationship, with ongoing interactions, but with a permanence all its own. And remember – the way you behave is the way you will be treated in turn. You empower what you fear; and you get back what you put out. 4. Keep No Secrets. Transparency is to fear as a cross is to vampires. If you have no secrets, then there can be no surprises. If you don’t know something, say so. If you have information, share it. If you’re the best for the job, say so and say why. And if you’re not, say so as well – and that will be a lot more believable. Be the same person at all times to all people. There are three exceptions, of course. Don’t give away trade secrets; don’t do anything illegal; and don’t hurt someone. Other than that, deal strictly in the Truth in all your affairs, and no one can or will fault you. (And if you think giving away all your information will empower your competitors, think again – they can never replicate your relationships). 5. Lead With Your Chin. 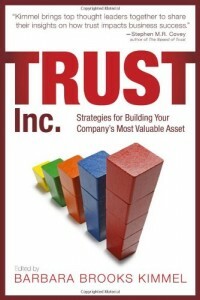 The thing that triggers trust, allows you to play the long game, and encourages collaborative reciprocal behavior is to be the one to take the first risk. Never mind what Ronald Reagan said – there is no trust without risk. If you want to create trust, you must lead with risk-taking. Talk price early, not late. Admit your shortcomings up front. Give away samples – especially if you’re in an intangible services business. Have a point of view. Go out on a limb. Invest a little time, rather than checking your sales efficiency watch every minute. Dare to empathize. That’s it. If you conduct your sales life by those principles, about 90% of customers will return your behavior in kind. The other 10%? Leave them to your competitors. Life is too short. And be assured, they won’t do as well as you and the 90% anyway.